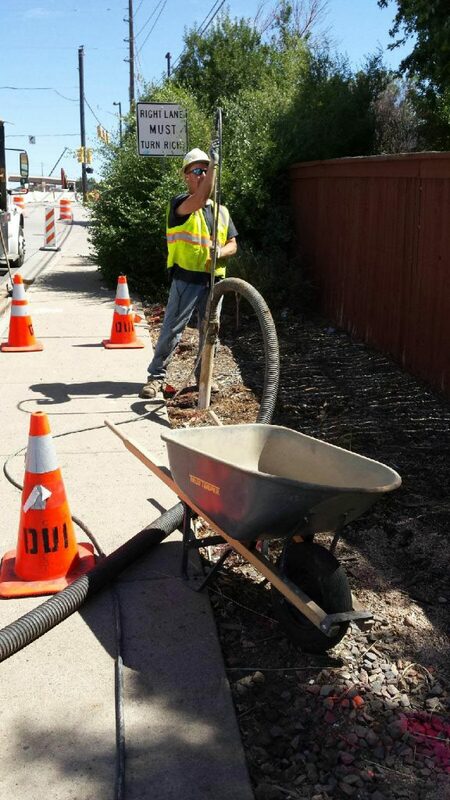 At Diversified Underground we work hard to hold on to our roots. 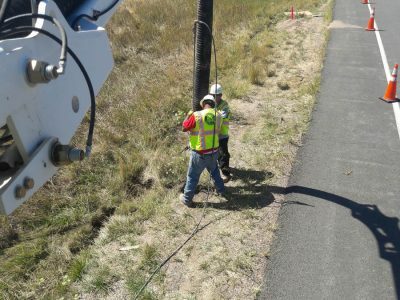 To us diversity means not only having a versatile workforce, but it also means having the right tool for the job. 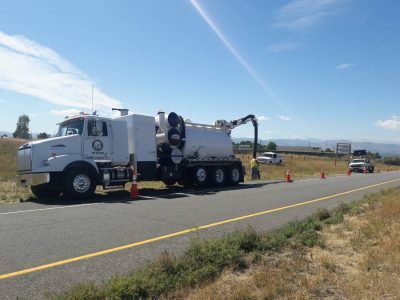 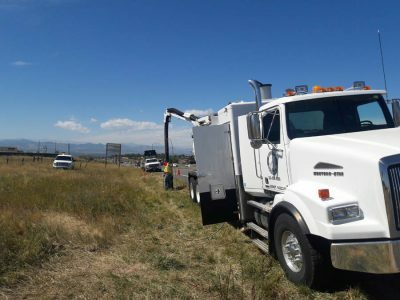 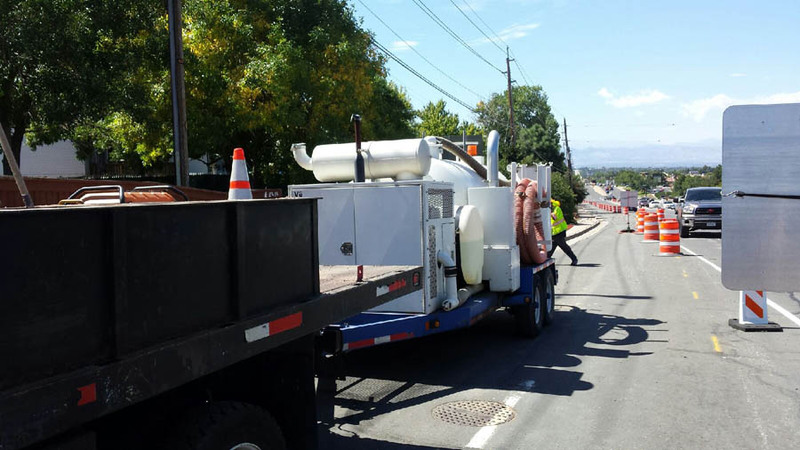 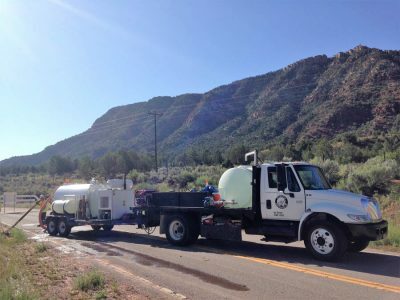 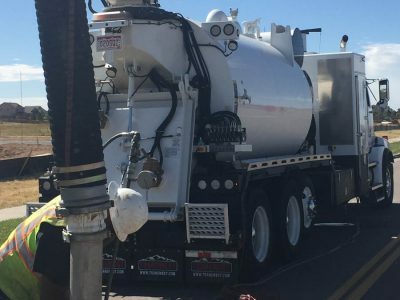 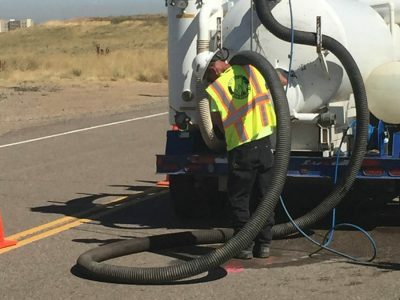 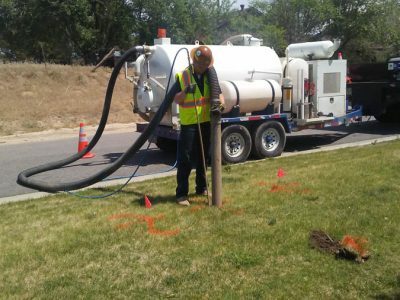 In saying this, we realize that the most hydro-excavation projects can be done with smaller vac trucks – which are more economical and maneuverable, but sometimes digging conditions are extremely difficult with large rocks, hard soil, or a high water table – just to name a few. 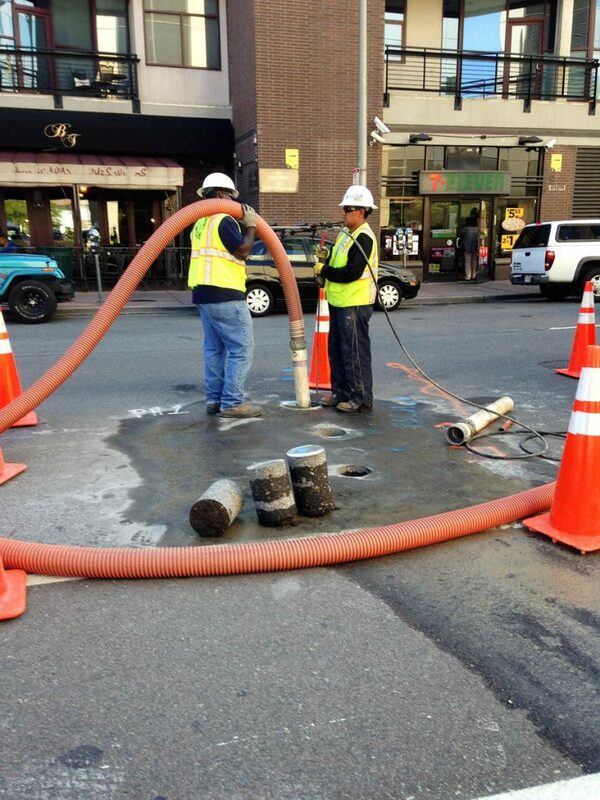 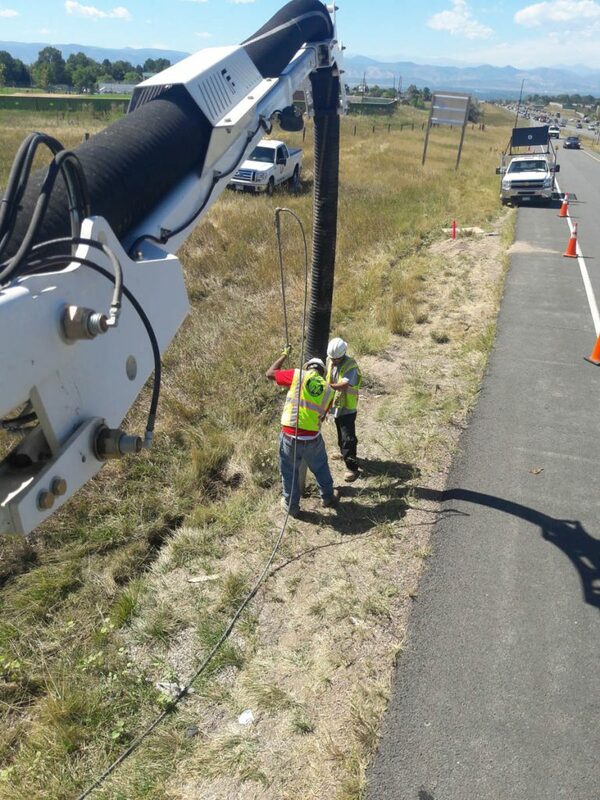 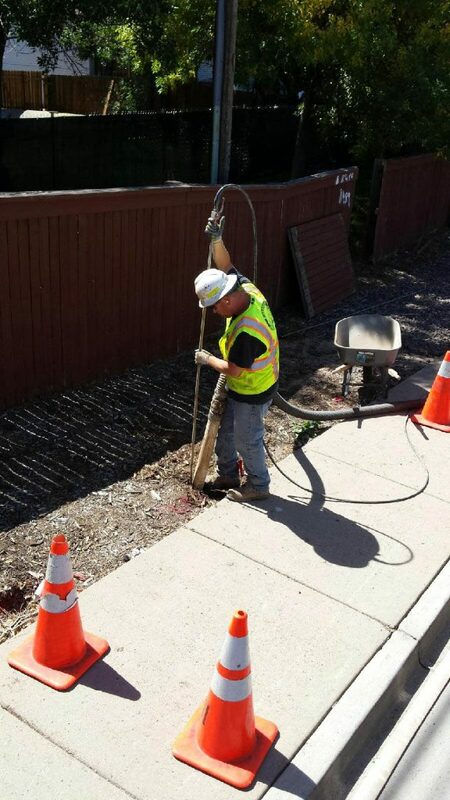 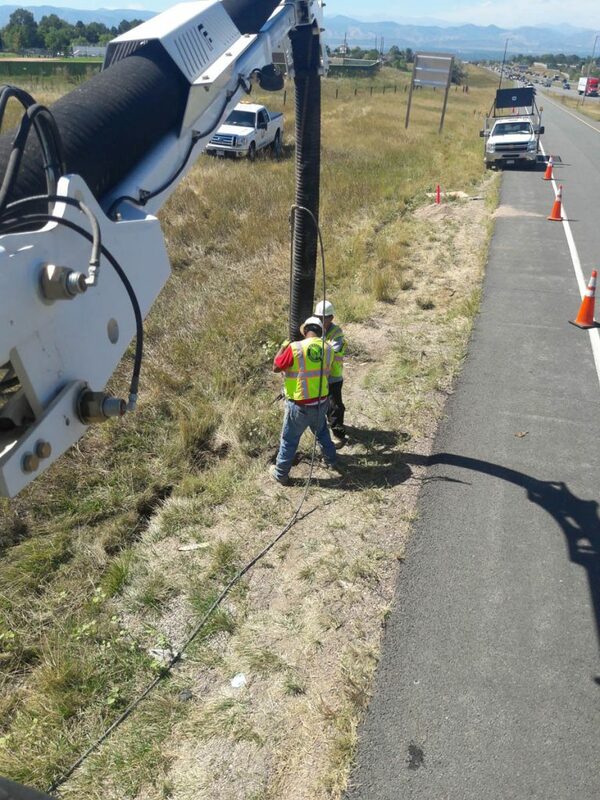 When you run into these difficult digging situations we also take care of you with our fleet of large vacuum units. 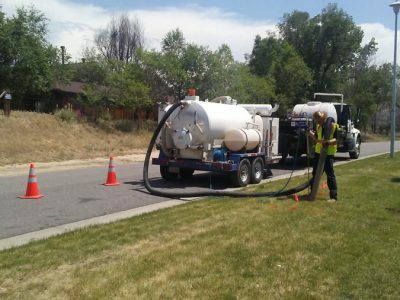 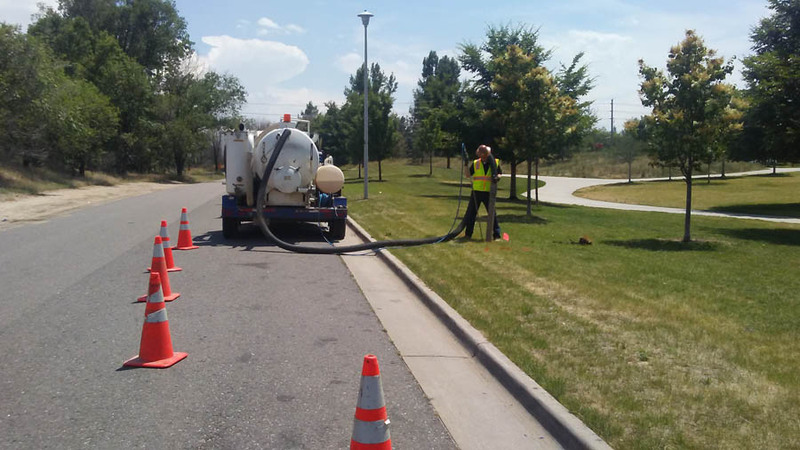 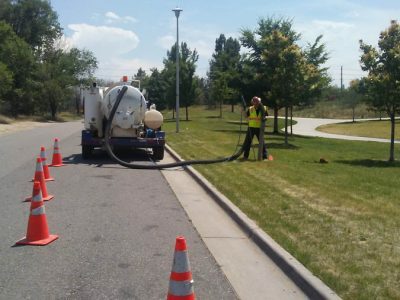 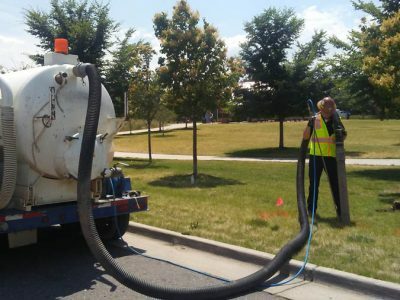 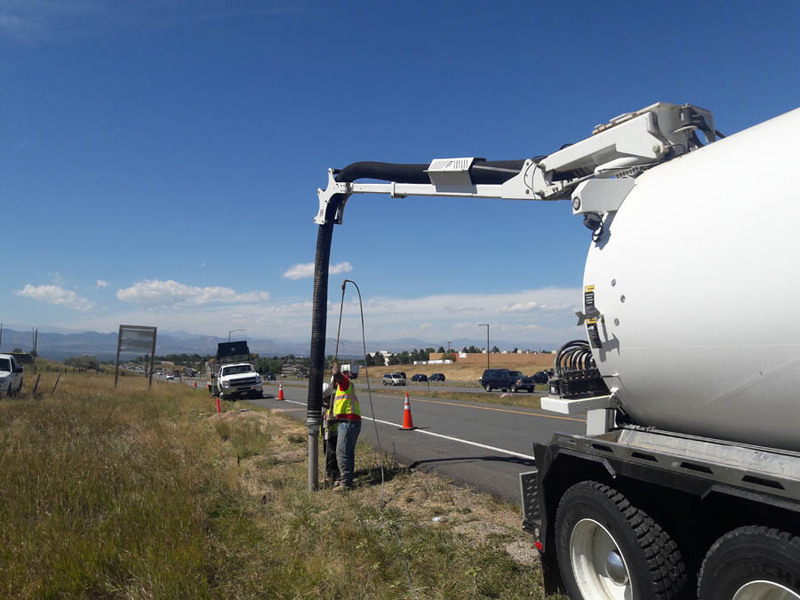 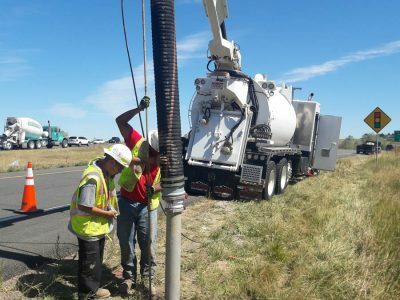 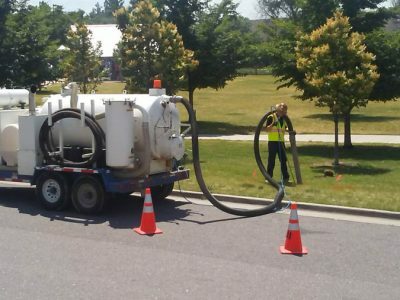 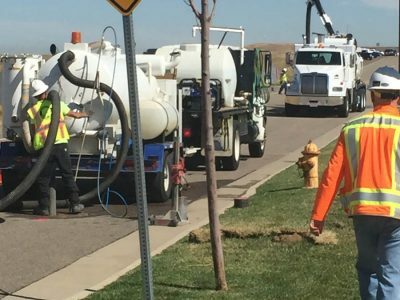 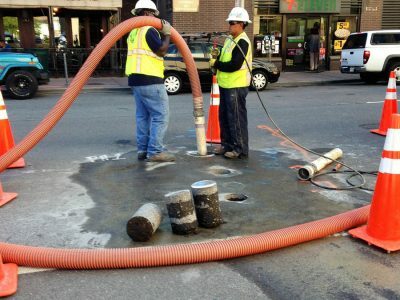 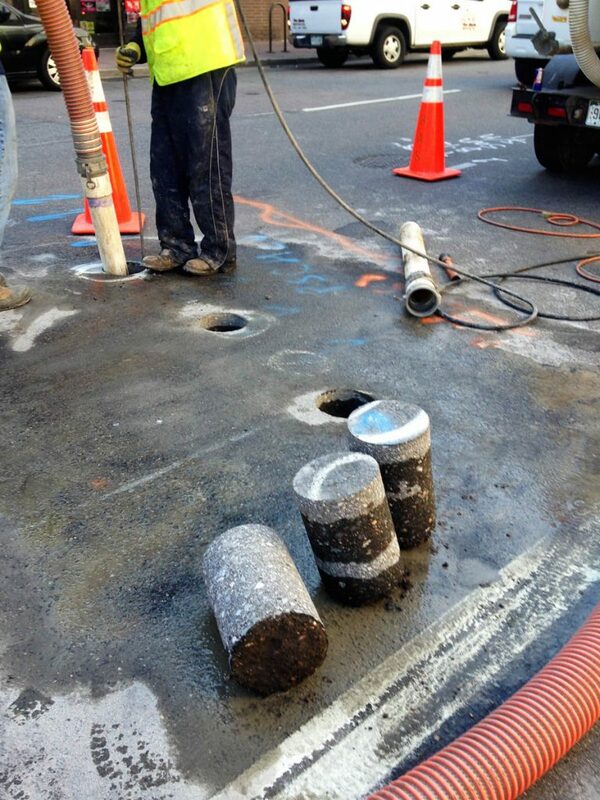 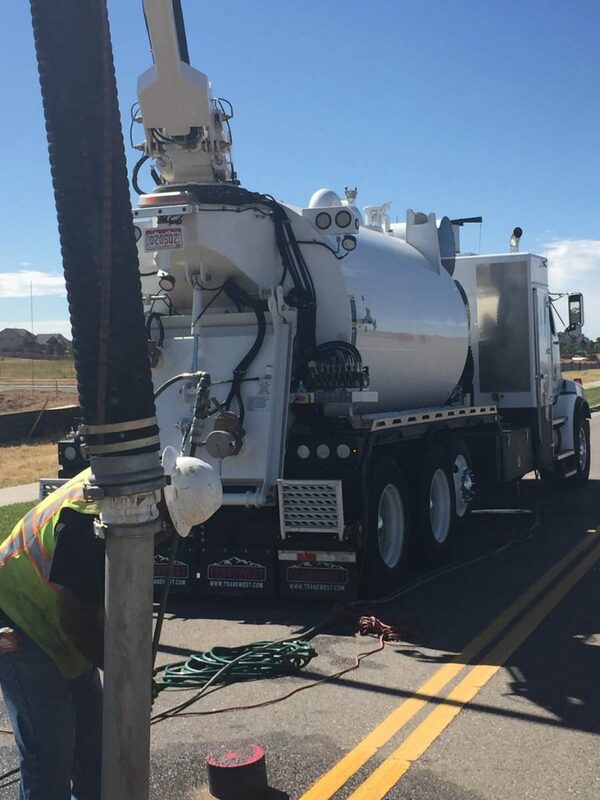 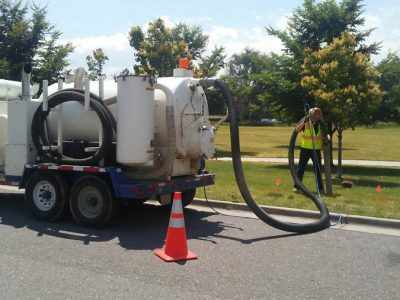 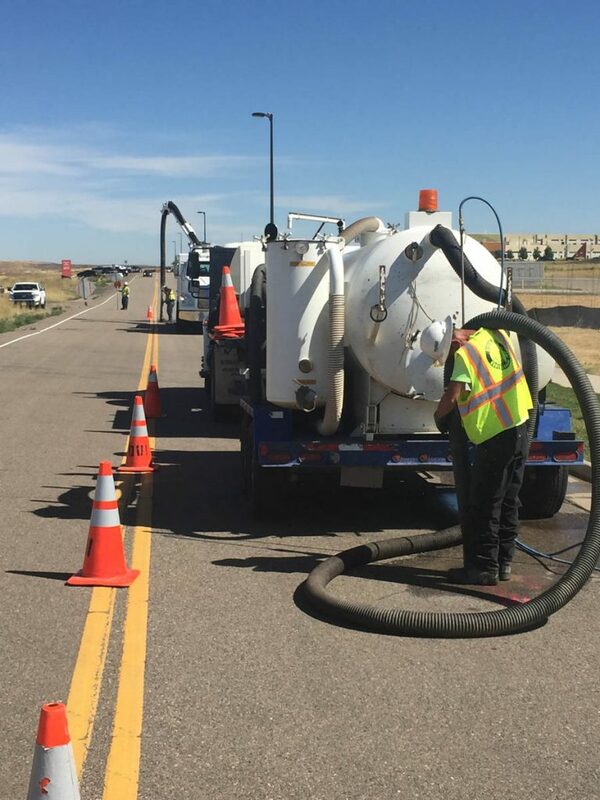 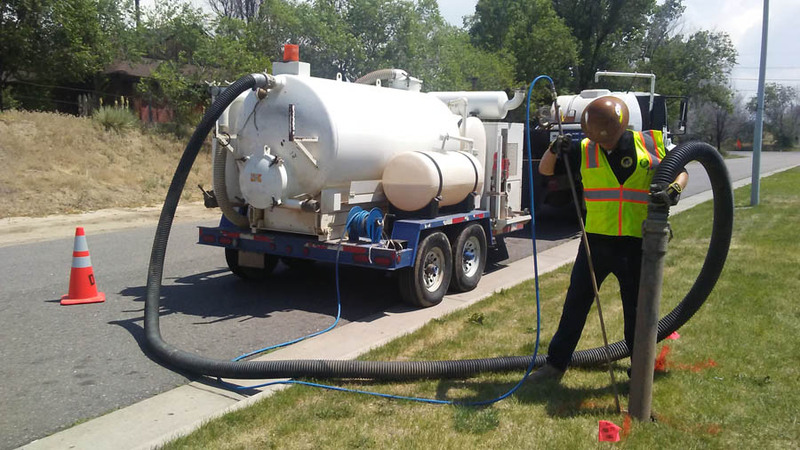 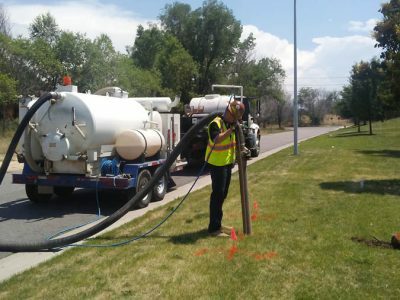 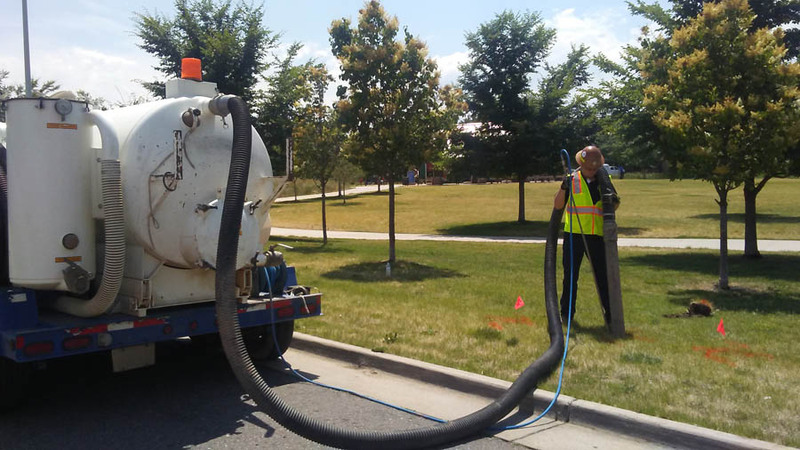 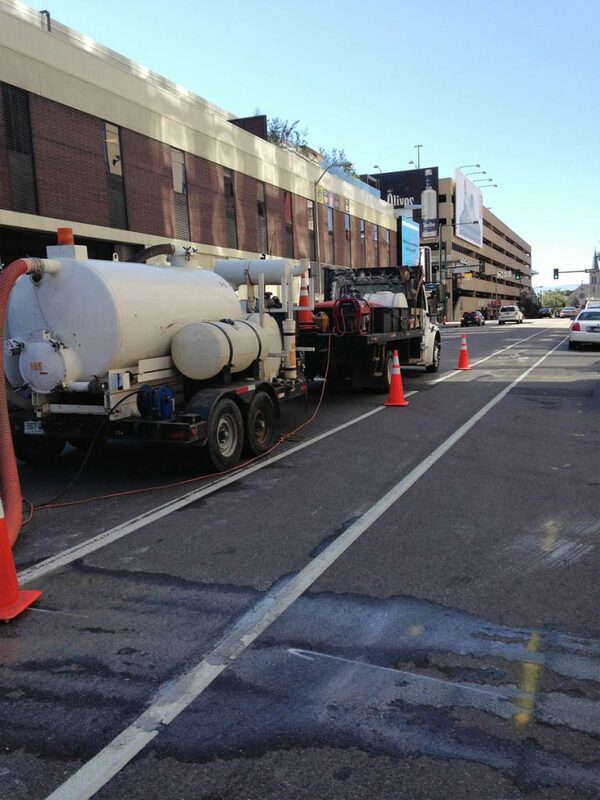 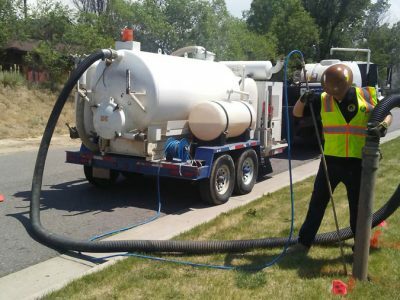 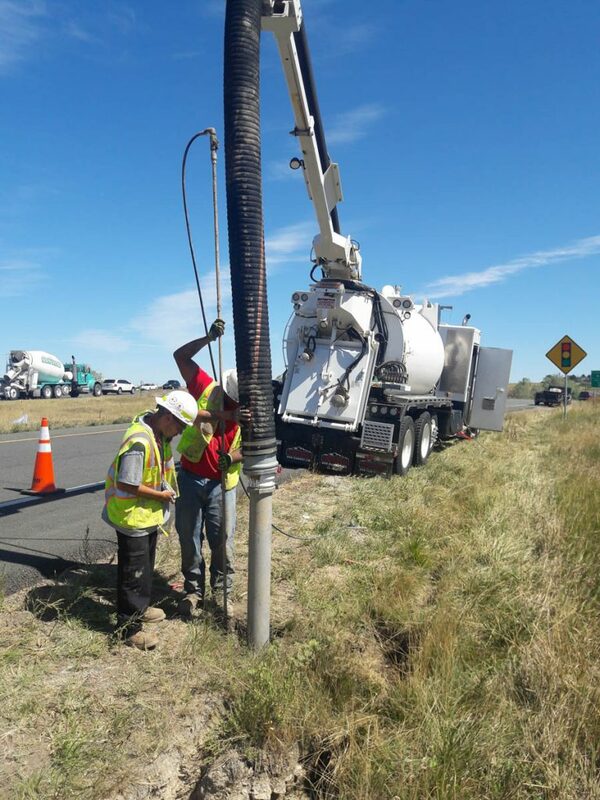 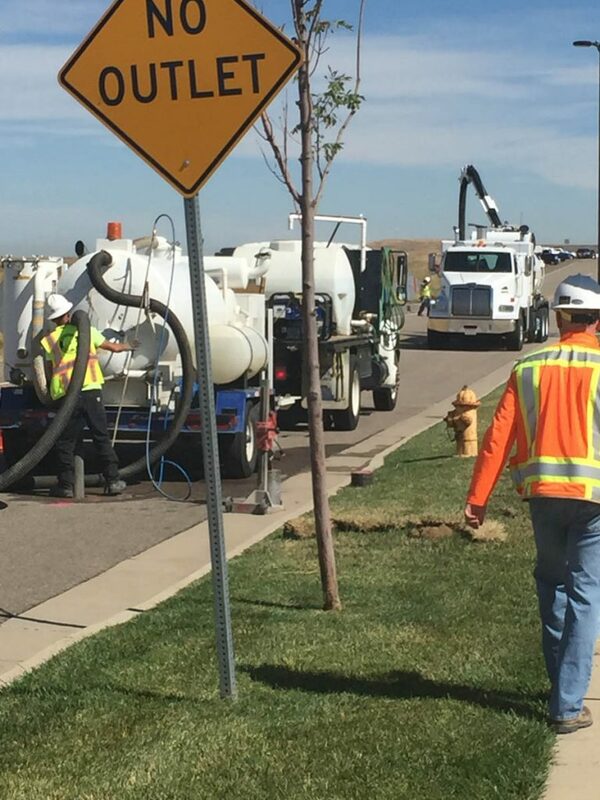 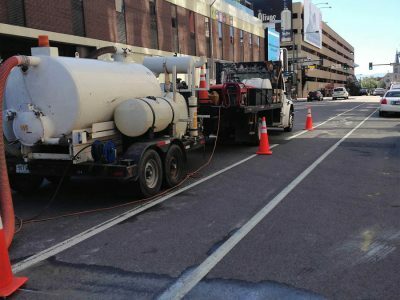 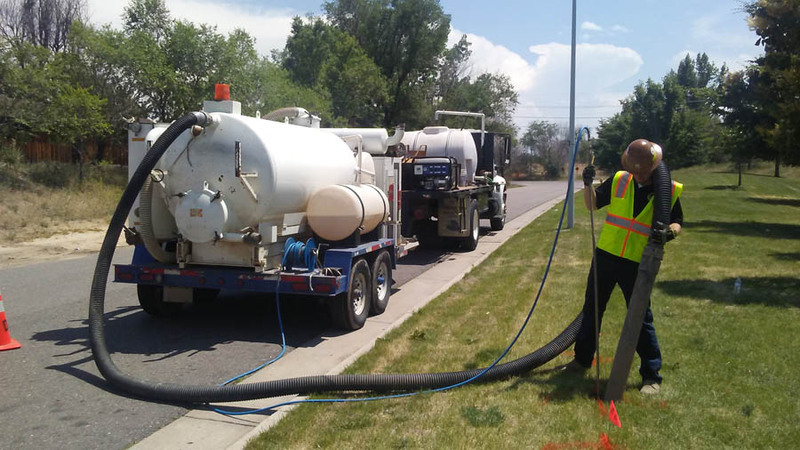 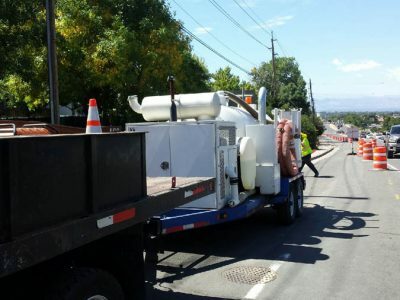 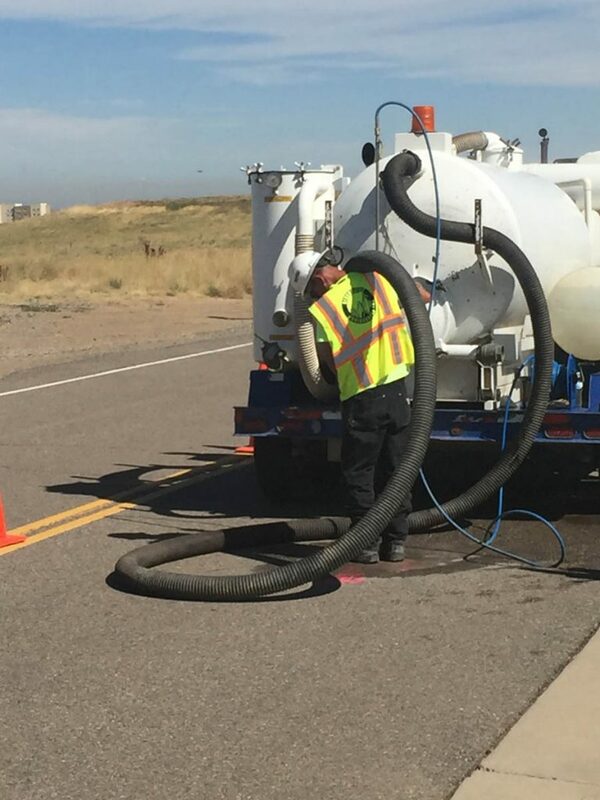 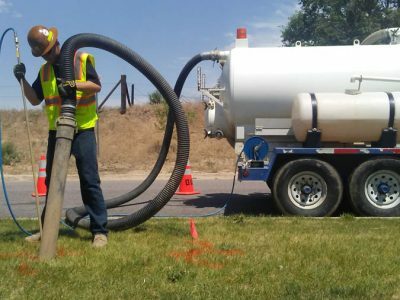 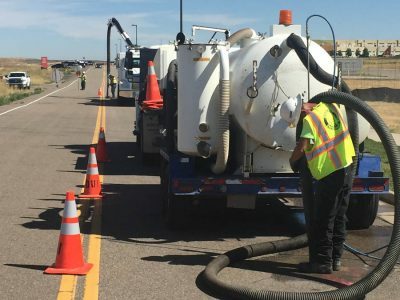 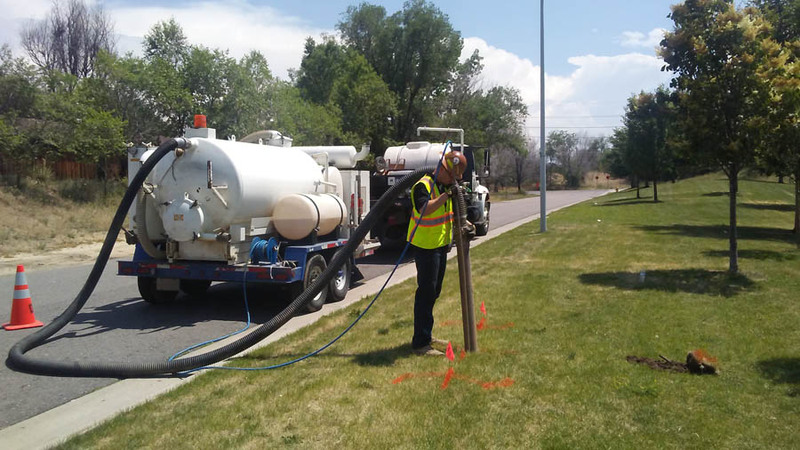 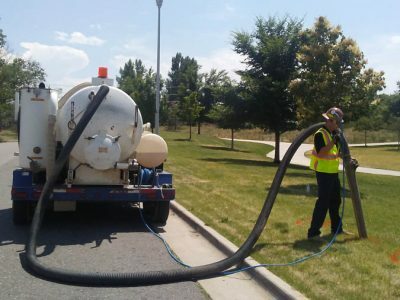 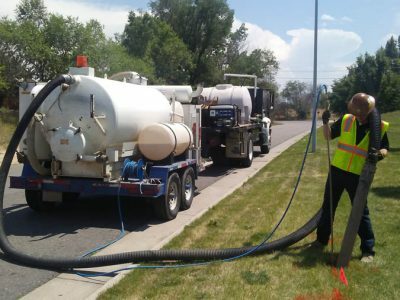 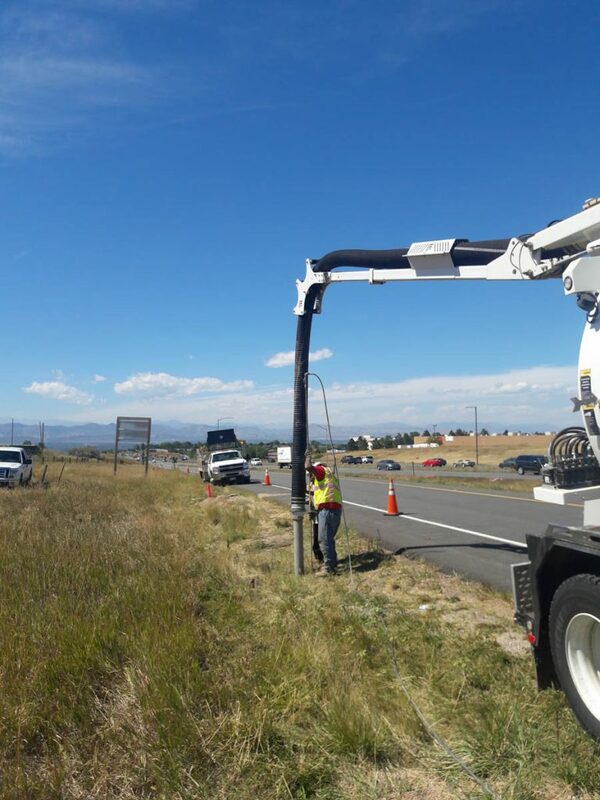 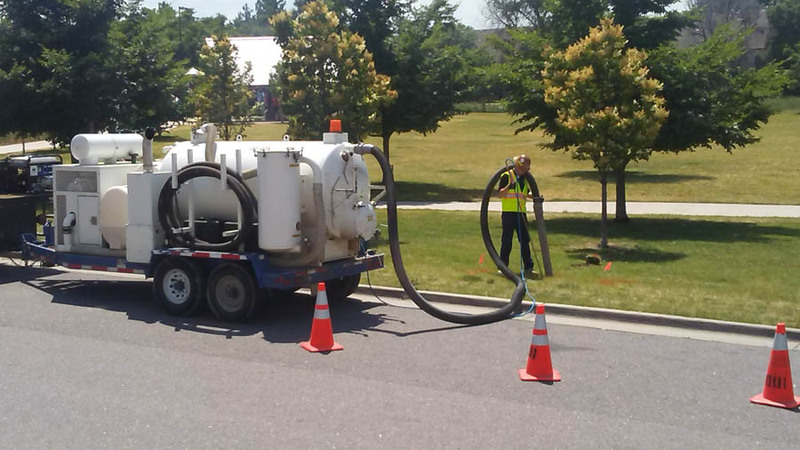 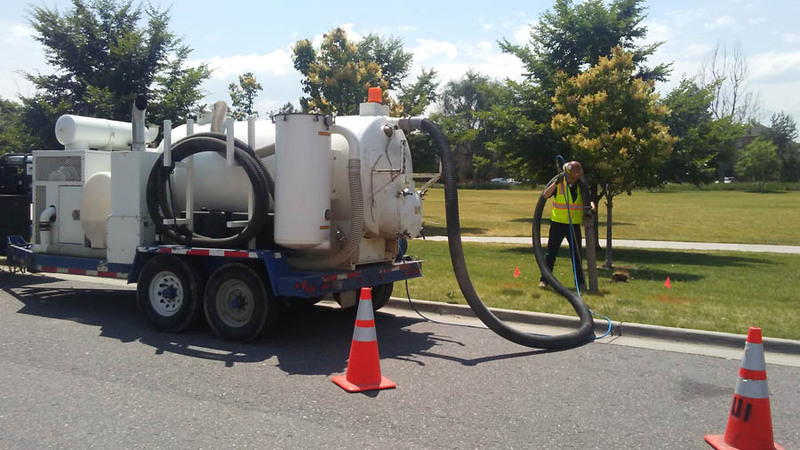 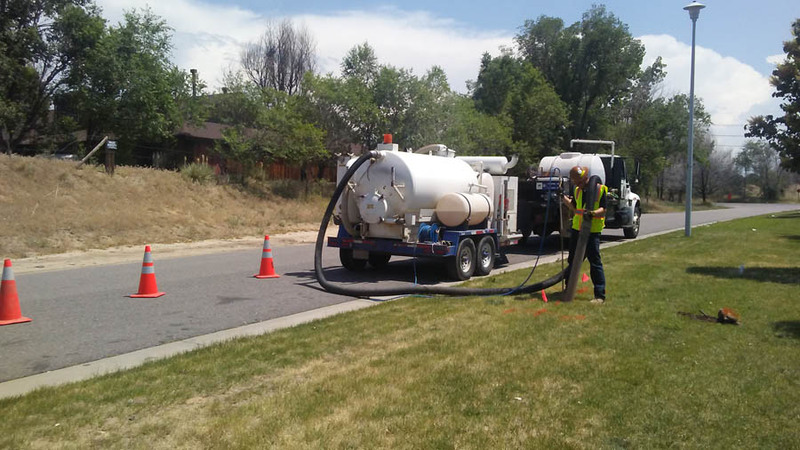 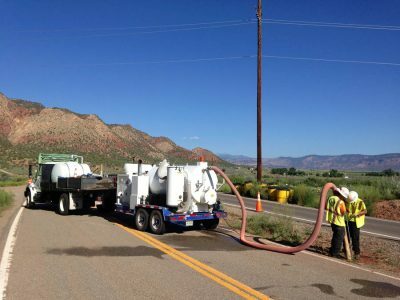 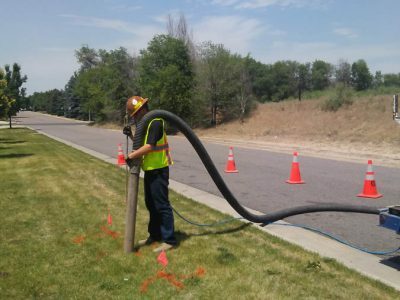 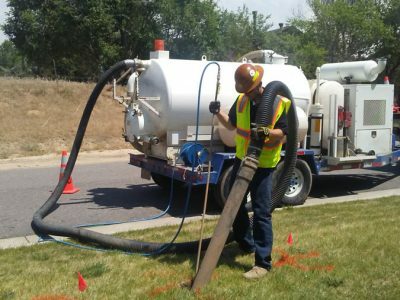 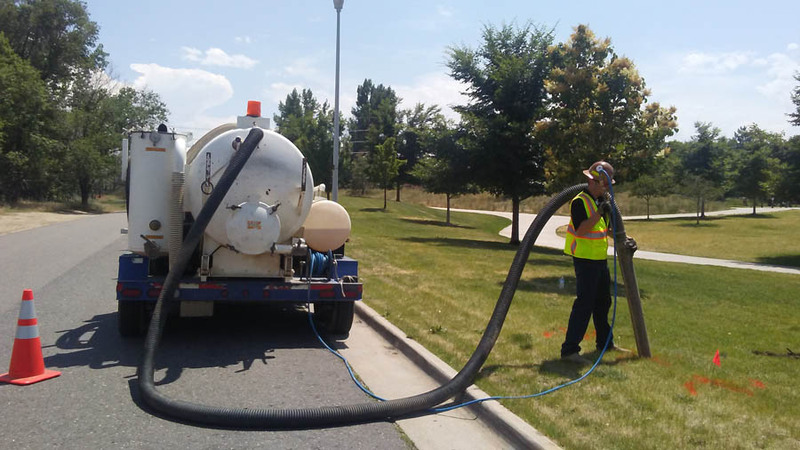 Hydro-Vac Excavation (Utility Potholing or Daylighting) is based on a combination of water-blasting and vacuum power to provide non-destructive excavating of buried pipes, lines and other structures requiring gentle removal of soil. 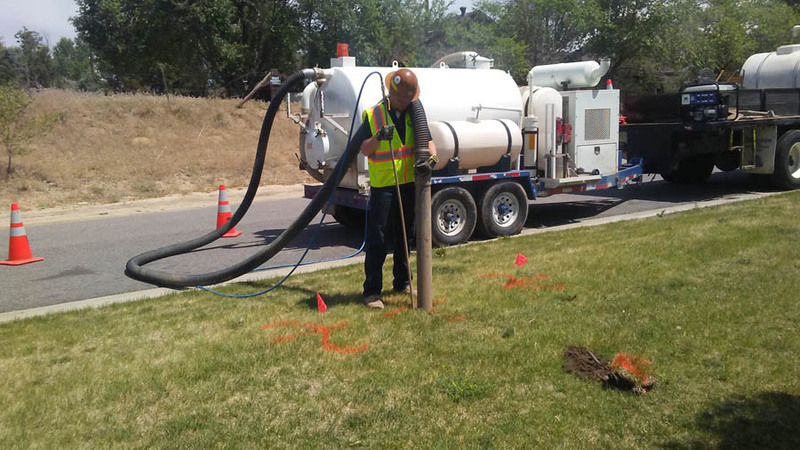 Water from the Hydro-Vac is pressurized and delivered through a handheld wand to loosen the soil. 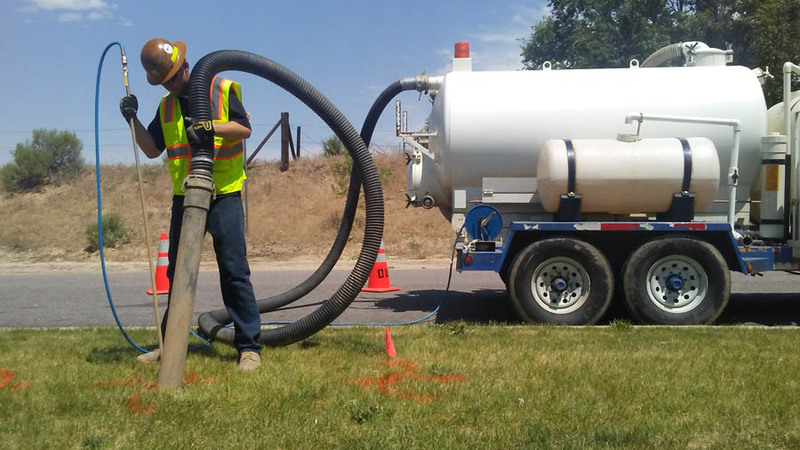 The resulting slurry (composed of water and earth) is sucked up in a debris hose by the powerful vacuum system and stored in the vehicle’s debris tank. 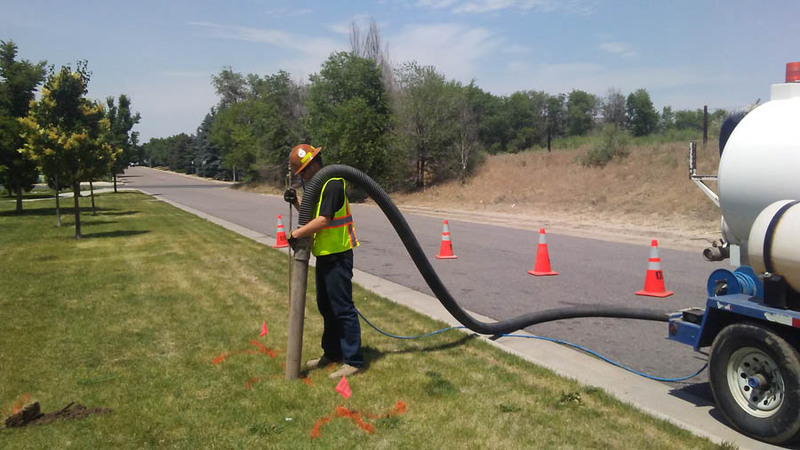 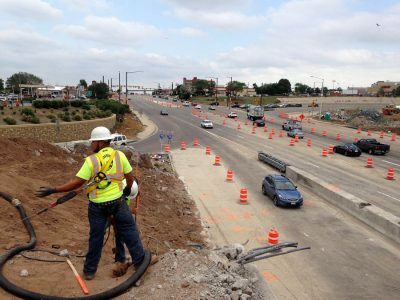 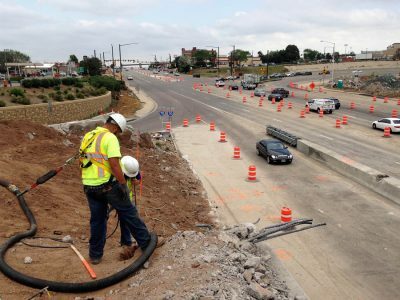 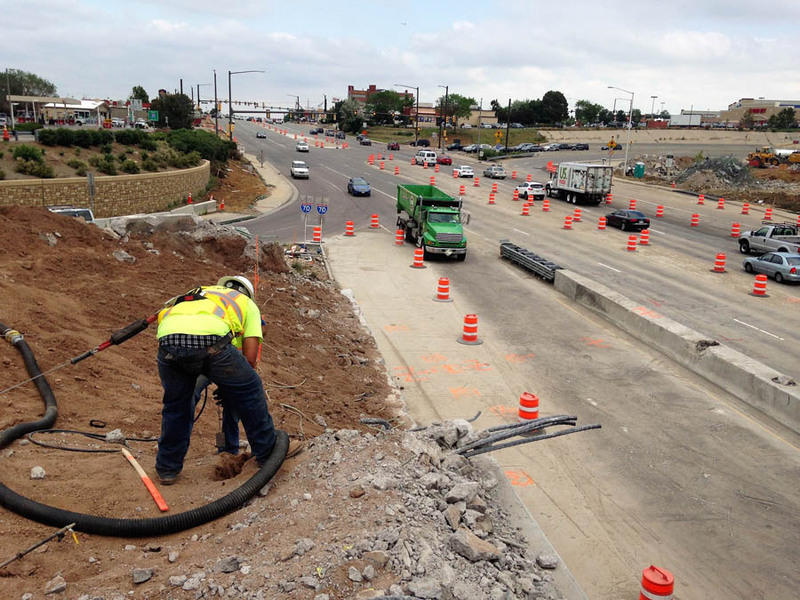 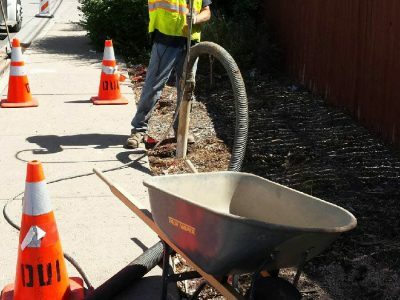 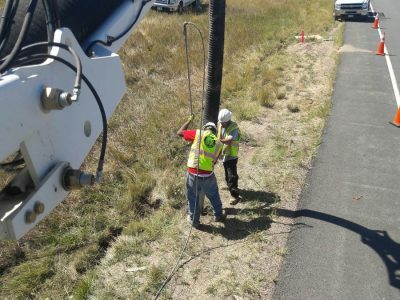 A visual observation of the buried underground structure can now be accomplished and the pipes, lines or other structures identified and repairs completed. 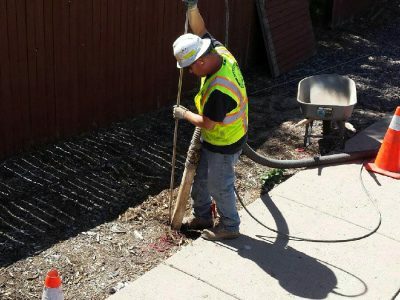 Provides a safer and more efficient method to excavate buried utilities. 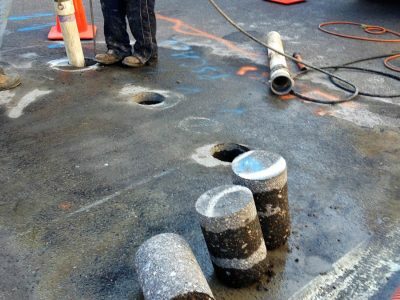 Enables a visual confirmation of surface locate marks. 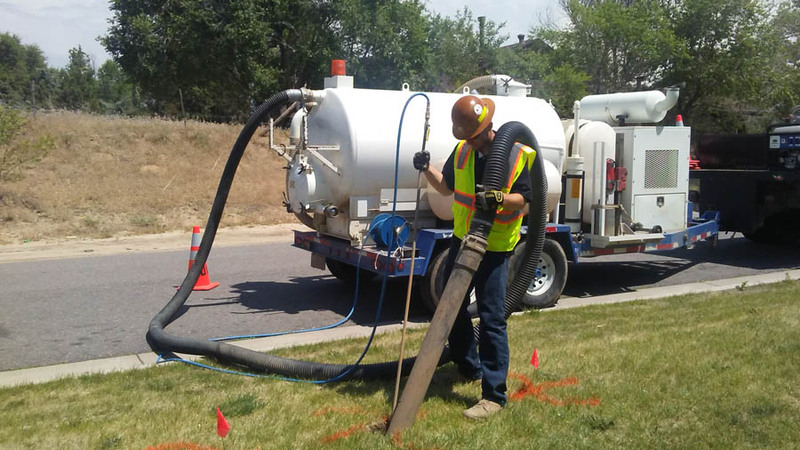 Minimizes ground disturbance and reduces site restoration costs. 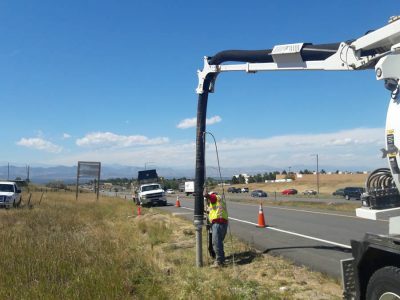 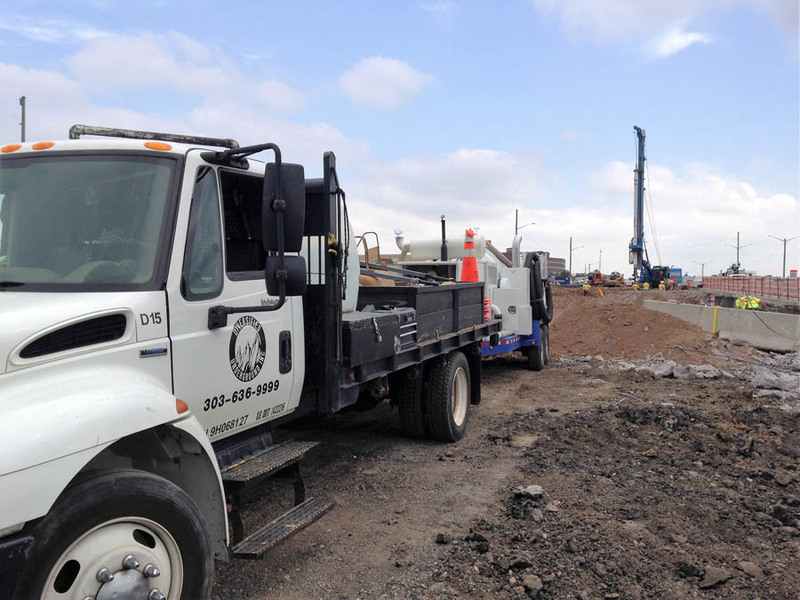 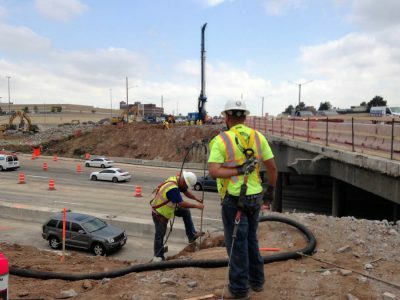 Eliminates the need for hand excavation, reducing damage to buried underground structures and possible worker injuries and tens of thousands of dollars in insurance claims.